Pad of high-quality papers for scrapbooking. 34 paper sheets, 3 pieces per design. Perfect for making layouts, albums and greeting cards or invitations. Acid-free and lignin-free, with a weight of 250g, printed on one side in a charming, romantic patterns. Dimensions a single sheet 15,24x15,24cm (6x6 inch).Made in Poland. Set of 8 high-quality papers for scrapbooking. Acid-free and lignin-free, with a weight of 200g, printed on two side in a charming, romantic patterns. Dimensions a single sheet 30,5 x30, 5cm (12x12 inches), plus a strip with the name. Made in Poland. Pad of high quality papers for scrapbooking (18 sheets plus bonus). The bonus in this pad is additional designed paper, printed on the back of cover. Acid-free and lignin-free, with a weight of 200g, printed on two side in a charming, romantic patterns. Dimensions a single sheet 30,5 x30, 5cm (12x12 inch), plus a strip with the name. Made in Poland. 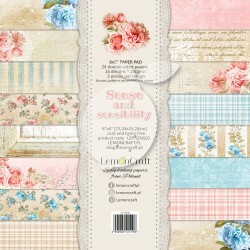 Pad of high quality papers for scrapbooking (12 sheets plus bonus). The bonus in this pad is additional designed paper, printed on the back of cover. Acid-free and lignin-free, with a weight of 200g, printed on two side in a charming, romantic patterns. Dimensions a single sheet 30,5 x30, 5cm (12x12 inch), plus a strip with the name. Made in Poland. Christmas time paper set 6x6 . 24 papers 15x15 cm Heavy-weight papers, double-sided. Made in Poland. 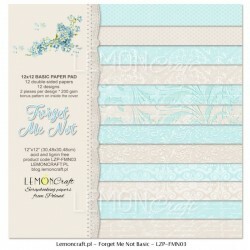 Pad of high quality papers for scrapbooking (12 sheets plus bonus). Acid-free and lignin-free, with a weight of 200g, printed on two side in a charming, romantic patterns. Dimensions a single sheet 30,5 x30, 5cm (12x12 inch), plus a strip with the name. Made in Poland.